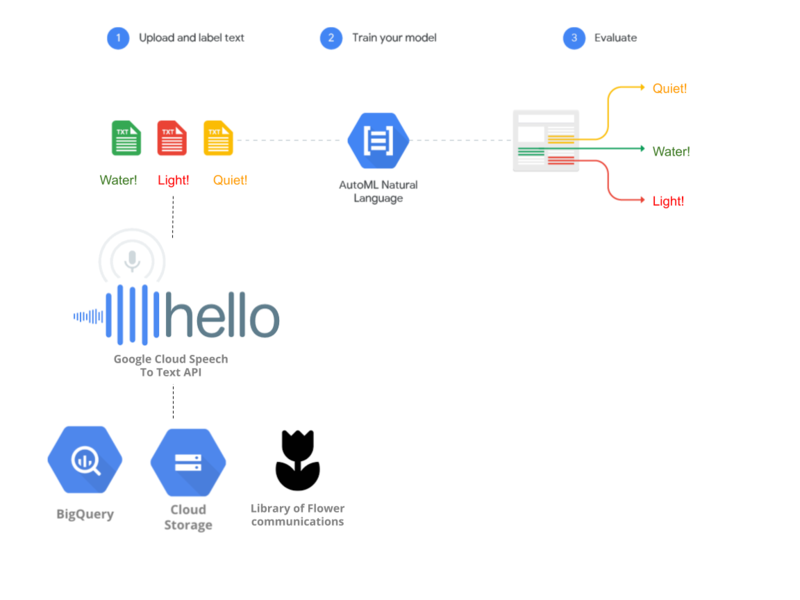 Training architecture for Google Tulip takes advantage of some prebuilt models and Auto ML Natural Language which employs neural machine translation and neural architecture search. Carrying out real-time predictions was a bit more challenging, especially because of connectivity problems tying more than a million tulips together. 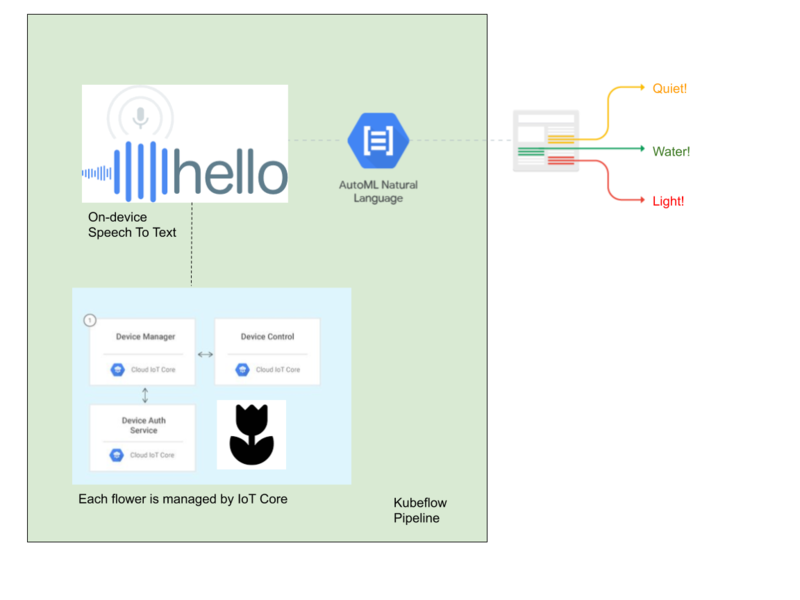 We use Cloud IoT Core to collect the audio data from individual tulips, and carry out predictions on Kubeflow Pipelines “on-premises”. The requests from the tulips are then acted upon by human overseers, as shown in this video..
Talk to your Tulip Translator on Google Home or Google Assistant. Available April 1. 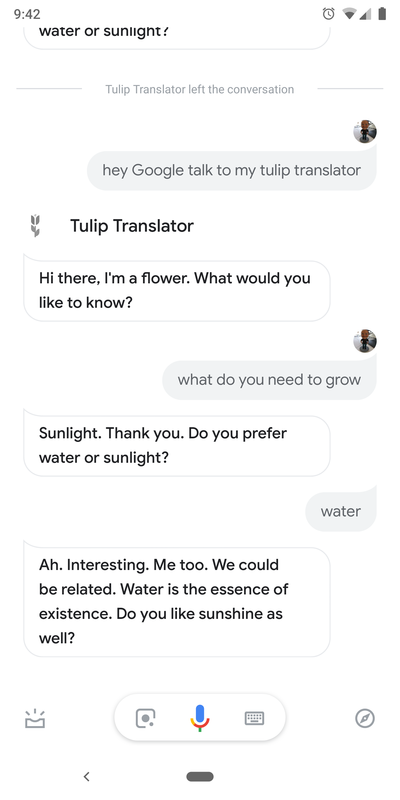 And on April 1st, 2019, only: look for it on your Google Home device, simply by saying, “Hey Google, Talk to Tulip Translator”. Ask the flower what it needs to grow faster. In our GitHub repo, you will find sample code to build a do-it-yourself version that starts from your phone camera. The DIY version is best for users growing less than 1 million flowers: even a single flower will do. 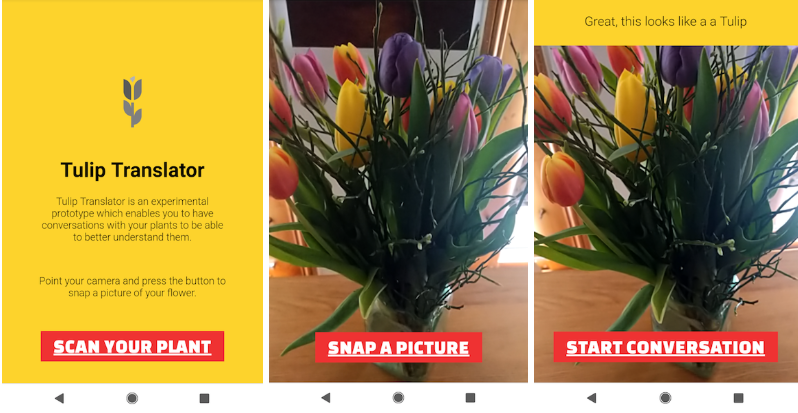 For convenience, the DIY version uses photo recognition instead of root systems, and takes advantage of Cloud Vision AutoML to understand the flowers. Check out the DIY code on GitHub.